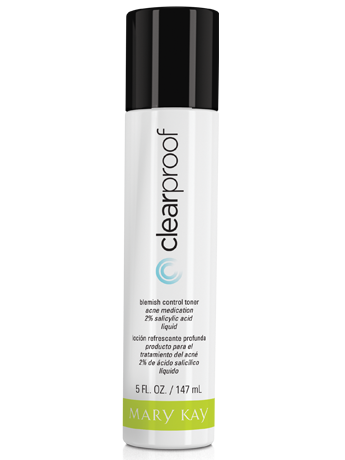 Cleanses skin completely and helps control shine. Helps exfoliate dead surface skin cells and helps keep pores clean. Helps diminish the appearance of pores. Helps alleviate pimples and whiteheads. It also is fragrance-free, non-comedogenic and clinically tested for skin allergy. Cleanse skin before applying. Moisten cotton ball with product, then apply to entire affected area one to three times daily. Because excessive drying of the skin may occur, start with one application daily, then gradually increase to two or three times daily if needed or as directed by a physician. 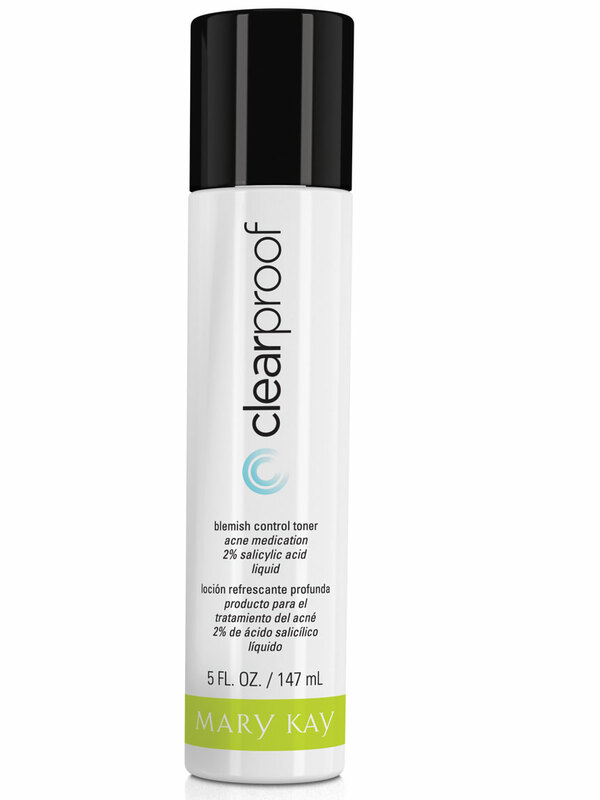 The Blemish Control Toner** works best as part of the Clear Proof® Acne System, which uses a combination of salicylic acid and benzoyl peroxide to attack multiple factors that can contribute to acne breakouts. The system has been shown effective on teens and adults, males and females, and different ethnicities from coast to coast.